Learning is not confined to the classroom at West Sussex independent school Sompting Abbotts. We support the ethos of the Forest School movement and its focus on fresh air and child-centred learning. Our 30 acres of grounds within the South Downs National Park give us the perfect environment to do this. They comprise mature woodland areas, wild flower areas, chalk grassland and a conservation pond. So we've plenty of natural resources to apply and adapt to all kinds of lessons. 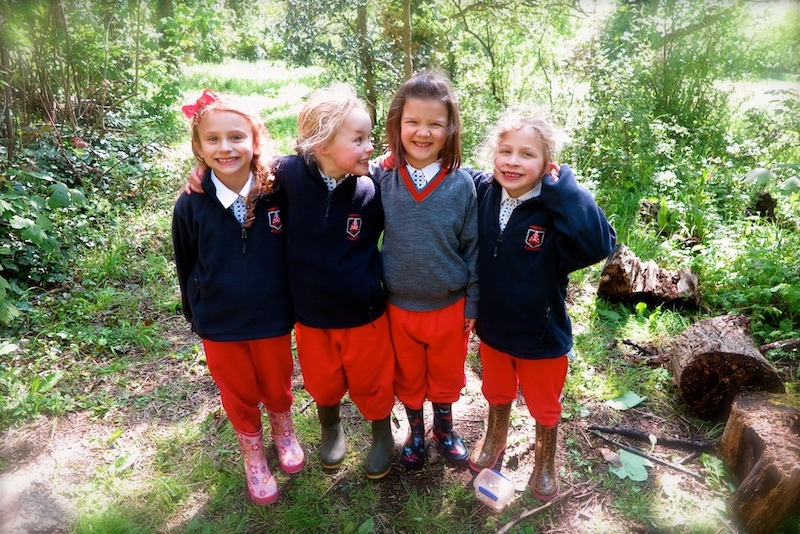 Children in the Nursery and Pre-Prep receive at least one weekly Forest School-style outing to the woods, and often more when we relate topics to the outdoors. We go out in all weathers and pull on warm tracksuits, coats and wellies. Low teacher-to-child ratios mean we can keep our smallest children safe in their 'outdoor classroom'. Right from the nursery stage, your child will get to sing around the fire, learn to use and make tools, and build dens. They dig in the mud, identify creepie-crawlies with magnifying glasses and learn about ice, changing seasons, different flowers and leaf shapes. In Spring, we grab our nets and collection jars and use our big pond for wet habitat learning too to discover water boatmen, frogs and tadpoles, nymphs and dragonflies etc. Yes, our children get messy! Yes, they do occasionally get stung by nettles. Yes, they do get clothes caught on brambles. But for us, that's all part of the learning experience. And about helping your child to develop resourcefulness, resilience and autonomy. Older pupils get the benefit of the outdoor environment too. There's a deeper learning that occurs when students have to put into practice in the real world what they have theorised from behind a desk. The learning that takes place in the natural milieu can be truly inspirational. Our teachers harness this to bring curriculum-based learning to life. We use the grounds and its multiple habitats and eco-systems for science, geography, history, art, biology and for many other curriculum applications such as field study and data collection. This is a forest and a learning place. Where the seasons don’t happen in books.